AMD is gearing up the engineering process of their next generation x86 Zen architecture which will be adopted in their future high-performance desktop and server class processors. Talking to KitGuru in a conference call, AMD’s new CEO, Lisa Su said that they will have their new high-performance x86 micro-architecture ready for launch within the next couple of years. Now Lisa Su has also shed some light on the applications for their new high-performance cores suggesting that Zen would make way in the dense server market first. AMD is also ramping up their roadmap for Skybridge with several ARM and x86 class processors based on the new K12 architecture that will be pin-to-pin compatible. That’s another thing which we have already detailed in several articles before so let’s focus on x86 Zen for now. 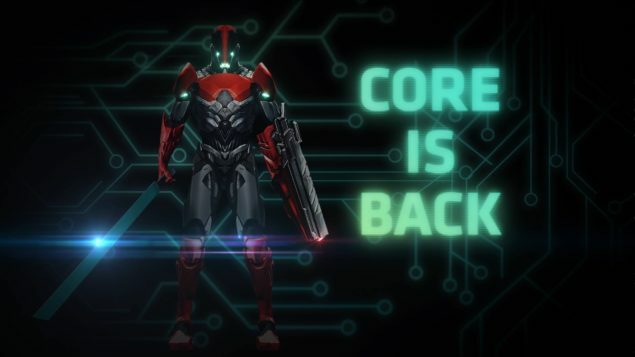 It is possible that AMD might be successful in developing a high-performance and competitive core architecture which will tackle Intel’s server and desktop class offerings which have dominated both sectors since some years now and Haswell-E and Haswell-EP/EN series for HEDT consumers and servers are leading the way. In a few years, Intel will have Broadwell and Skylake 14nm processors in the market and Skylake seems to be the most likely competitor against Zen. While AMD focuses their resources on Zen and K12, they still have one more construction core left for launch with Carrizo APU. Their Excavator micro-architecture which will be adopted in Carrizo will hit the market in Q4 2014 with the Carrizo-L series for low power notebooks while the high-end Carrizo APUs for premium notebook designs will hit market in March 2015. While 2014 was based around Steamroller and Kaveri, 2015 will be fit for Excavator and Carrizo. In 2016, AMD will hopefully have x86 Zen in the market for consumers and servers to end the disappointment the construction cores starting from 2012’s Bulldozer FX-Series. AMD’s CEO also talked about the company’s manufacturing process roadmap and stated that AMD will be transitioning to FinFETs and then to 14nm and 10nm after that. He’s likely referring to 16nm FinFETs which is the next generation node from TSMC. The fact that Rory Read neglected to mention transitioning to 20nm likely means that AMD has already made the transition and is in the production phase. We’ll continue to go down the curve. We’re gonna go Fins and we’re gonna go 14 and 10 and all those things will occur but we want to do it in an orderly way. Will we move down to Fins ? yes absolutely and the next generation of products go there as we introduce them in 16 (2016). But you want to do that as you catch the cost curve and the yield curve at the right place so that it makes sense for us. 20nm APUs are planned for the server market next year as a part of their Skybridge initiative which will merge both ARM and x86 on the same unified socket. Aside from that, AMD does seem to confirm that Bulldozer was not the game changer that they had hoped when it launched three years ago and that their financials are still suffering as a direct result of that. AMD recently did a refresh of their x86 FX processors based on the Piledriver architecture which might just be the last processors based on the 32nm process since AMD already has 28nm available on the APU front. It will take some time before we get an idea of how Zen differs from the Bulldozer family and how it generally performs. But if the initial rumors are anything to go by then Zen will likely adopt an SMT style microarchitecture which indicates that it’s quite a large core since SMT (Simultaneous multithreading) is usually leveraged in large CPU cores to opportunistically take advantage of the various resources in the core and dedicate it to an additional execution thread for added throughput. This adds to the area efficiency of the core design and reduces the effect of stalls and pipeline back pressure leading to improved resource utilization inside the core which in turn improves overall performance.